Fast food lover? You may want to see this… | HELLO! June 22, 2016 - 15:06 BST hellomagazine.com Would you still buy your favourite treats if you knew their exact calorie count? Fast food restaurants like KFC, McDonalds and Burger King aren't exactly places we go for a healthy meal, but would you still be eating there if you knew just how many calories are in your favourite treats? While many restaurants now list nutritional information on their menus, two advertising students have taken it one step further, replacing the logos on food and drink packaging with their calorie counts. Alessia Mordini, 28, and Rodrigo Batista, 24, noticed how body-conscious many people get as summer holidays approach, and turned it into a concept for their project. 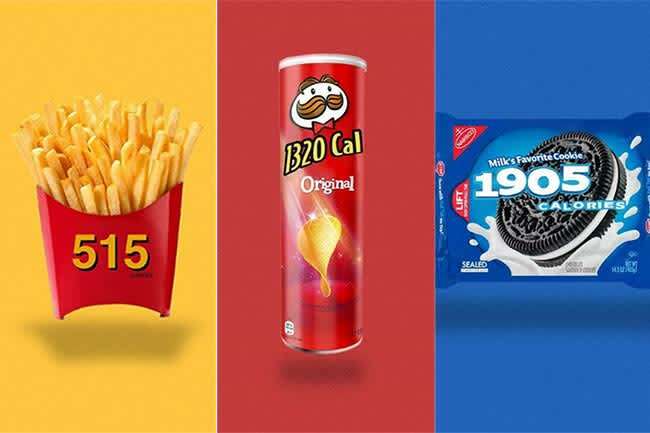 They began redesigning the packaging of some of our favourite junk foods including jars of Nutella, packets of Oreos and McDonald's fries to show their calorie counts emblazoned across the front - and it may just put you off your food. 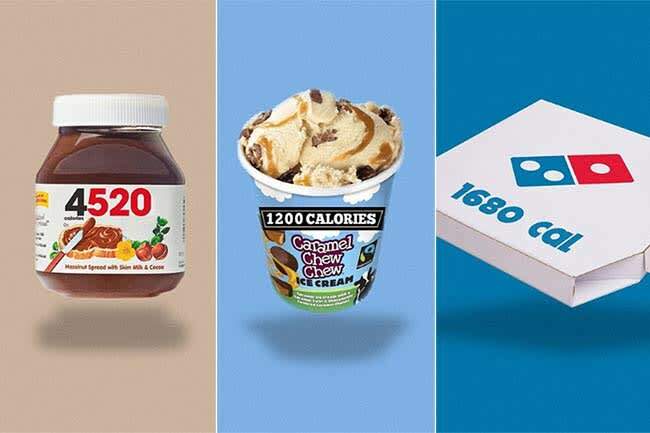 "This is how brands should look like to help you achieve your summer body goals," the Calorie Brands page description reads. Would you still buy junk food if the labels looked like this? Their colourful images are eye-catching and may be hard to stomach. That sweet Starbucks Frappuccino could contain as many as 420 calories, while there are typically some 1680 calories in a Domino's pizza. While the page has quickly proved popular, attracting close to 100,000 followers in two weeks, it has also received criticism from people suggesting it could be body shaming those who choose to indulge in fast food. However the designers insist that is not why they started the account. "This account is not to make you stop eating these kind of products, it's just to know how many calories they contain and consume them responsibly," Rodrigo said. Could this habit be making you gain weight? The UK's top fast food chain has been revealed – is it who you expect?